Bhubaneswar : India’s total containerized cargo capacity of 8.75 million TEUs (twenty-foot equivalent units) at all its 12 major ports, a key indicator of a country’s integration with global supply chain for value-added manufactured goods, is less than a quarter of containerized goods handled at China’s single port of Shanghai, making it imperative for us to do a fast catching up, an ASSOCHAM comprehensive study on ports has pointed out. The study titled ‘Indian ports sector: Challenges of scale and efficient operations,’ was released by ASSOCHAM secretary general, Mr D.S. Rawat along with chief advisor, Dr Arvind Kumar at a press meet held in Bhubaneswar today. It is only recently that freight in containers, which are easy to load, unload and can be carried to the hinterland through multi-modal transport, is catching up in India. Besides, it is the containerized traffic which reflects the level of manufacturing and value addition a country has achieved for itself in the global market. 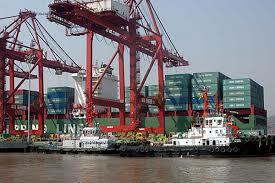 “In contrast, India has just two ports which handle beyond 100 MT – Kandla and Mundra. Fragmentation of port capacity in India is demonstrated by the fact that India’s 12 major ports handle cargo far less than Shanghai port. Large productivity gains can be achieved by improving existing ports at a much lower marginal cost,” the study noted.